More than a beautiful piece of jewelry, the Pomegranate pin is a symbol of a woman’s commitment to and compassion for the Jewish people. Pomegranate women donate between $1,800 and $4,999 to the Jewish Federation of the Lehigh Valley’s Annual Campaign. To qualify for the Pomegranate Pin, women must donate $1,800 or more to the Federation’s Annual Campaign. The pin is designed to be used for 10 years. Recipients qualify for an additional "seed" or ruby each year by adding to their pledge. 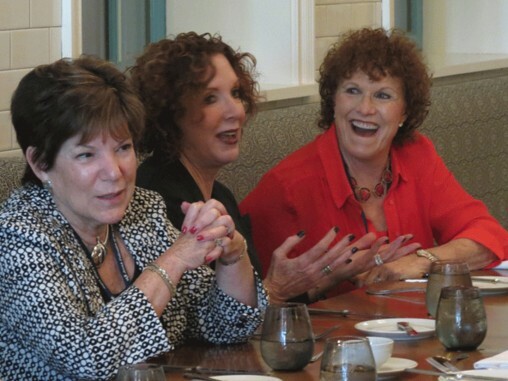 Women who give at Pomegranate level are encouraged to endow their gift in perpetuity. An endowed Pomegranate will be draped with gold-toned leaves, signifying a woman’s commitment to the continuation of Jewish life. More than 125 Federations participate in the Pomegranate Pin Program through the Jewish Federation of the Lehigh Valley. We offer a full range of services to implement this program in your community including customizable marketing materials. An ancient symbol found carved into the lintels of the earliest synagogues, the pomegranate has carried with it the concepts of Judaism for generations. In the Torah, the pomegranate is one of the seven species that the spies saw in the land when they were sent forth by Moses. The Midrash tells us that the pomegranate has 613 seeds, which corresponds with the number of mitzvot or commandments found in the Torah. The pomegranate has been woven into ancient fabrics and hammered into ceremonial silver and gold objects. The intricate covers for the handles of the Torah scrolls are called "rimonim" or pomegranates. 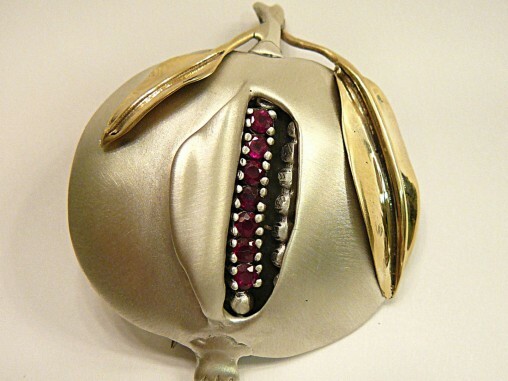 In 1981, the women of Allentown, Pennsylvania, introduced the Pomegranate Pin as a way to inspire giving from women of all stations. 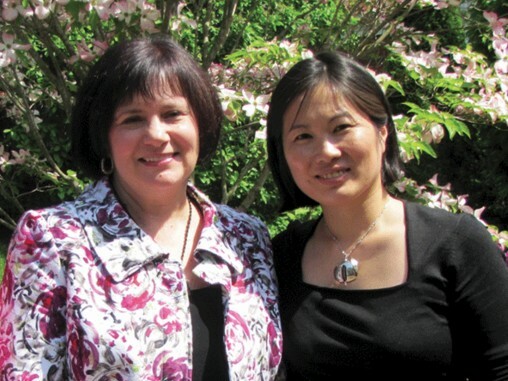 Modeled after the Lion of Judah program, then-President of the Jewish Federation of the Lehigh Valley Sybil Baiman and Campaign Chairperson Jeanette Eichenwald felt that a pin at the mid level would increase gifts in the upper levels. Almost four decades after its inception, more than 7,000 pins have been distributed across North America. 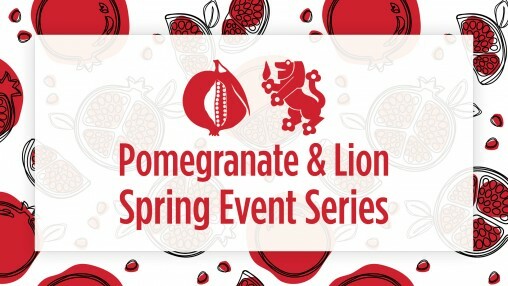 Pomegranates and Lions of Judah are taking part in a new event series this spring to meet, mix, mingle and do mitzvah projects. Learn more about and register for these upcoming events.